There's been a major resurgence of midcentury aesthetics in recent years and it's showing no sign of slowing down. 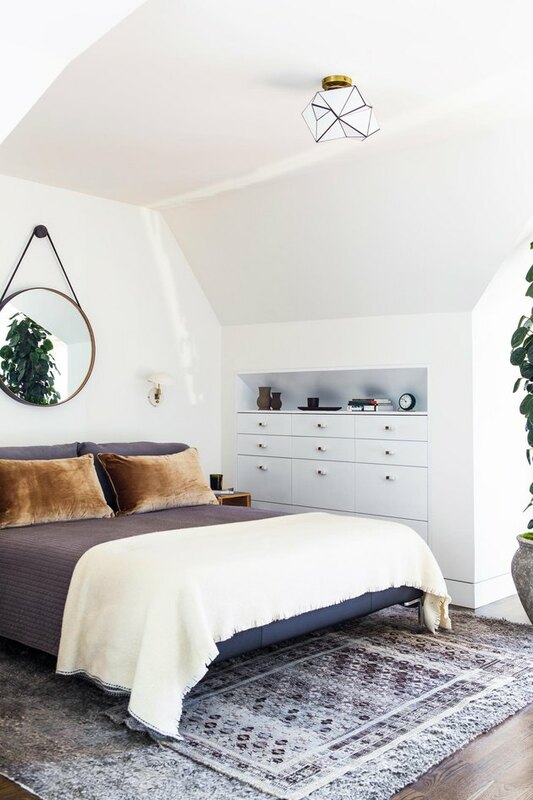 The style's ever-growing popularity makes complete sense, though: the airy, pared-back style of a midcentury design makes it a perfect complement to the exhale-inducing minimalism that continues to take over homes far and wide. 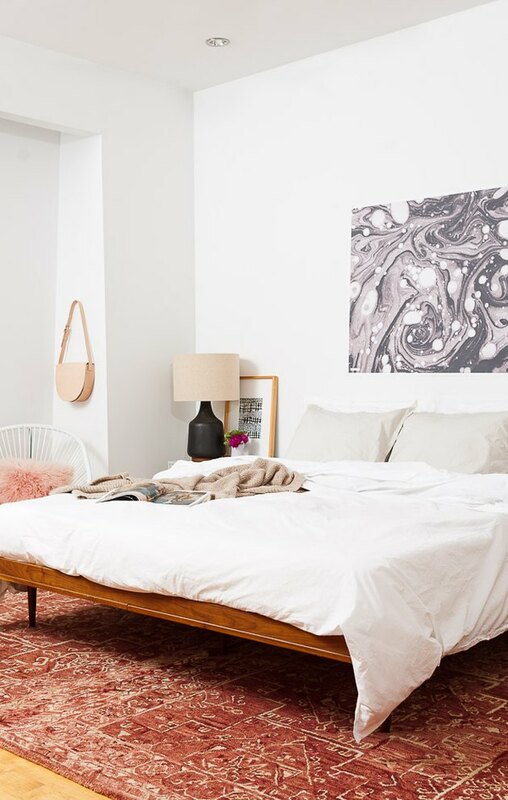 And there might be no room better suited for this trend than the bedroom. 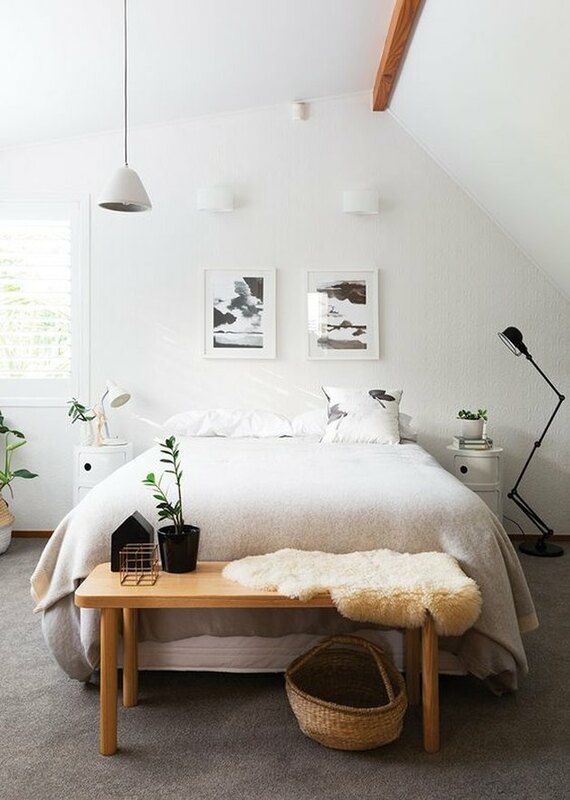 The sleek simplicity of this style makes it an obvious choice for creating soothing boudoir vibes. Just take a look at the 12 stunning examples below. 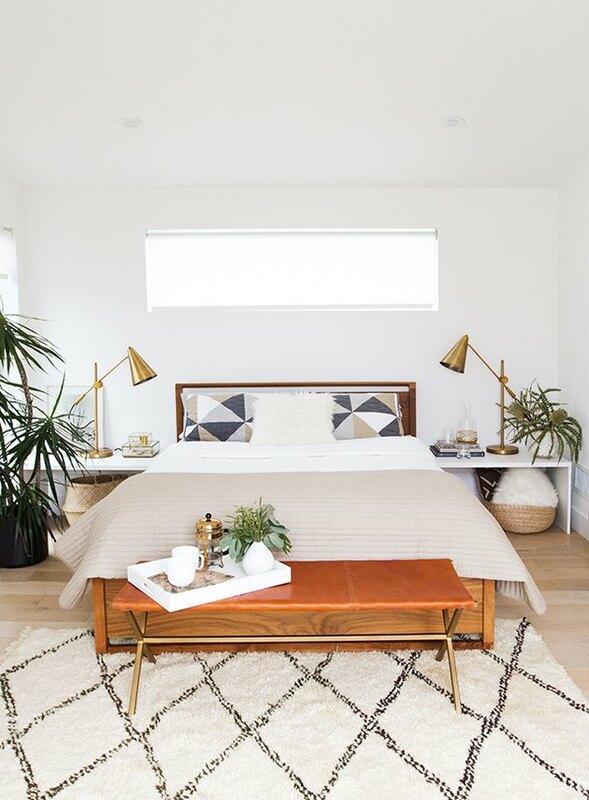 Patterned rugs and textured throws are a no-fail way to warm up this cool aesthetic. The minimalist construction of the midcentury era relied on wood. 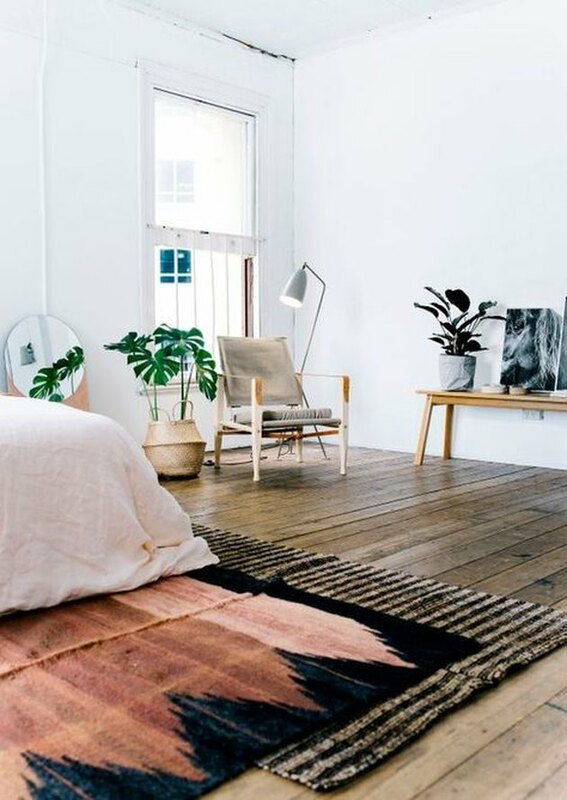 Pay homage to the period by showcasing your wood furniture throughout the space. A few pom-poms will infuse this simple style with a touch of playfulness. Is there anything more satisfying than flawlessly-executed symmetry? No. No there's not. 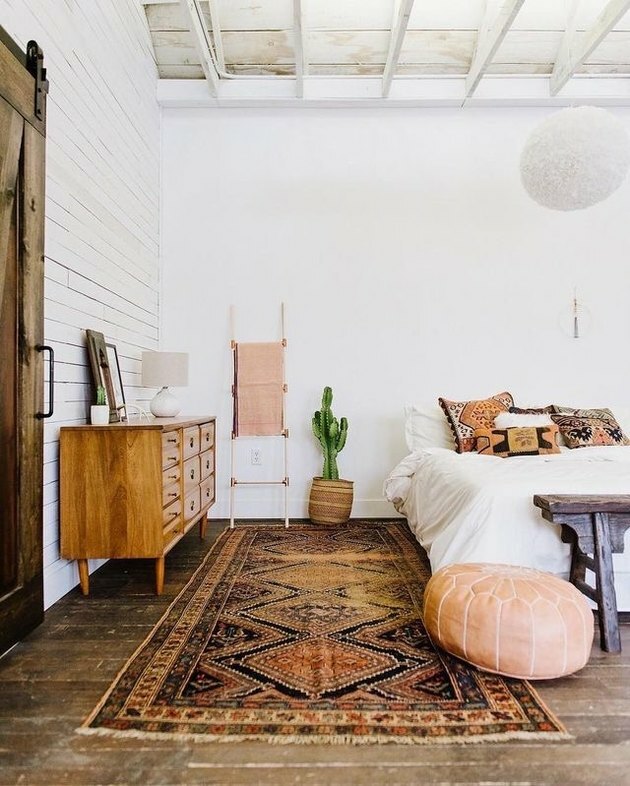 Cozy-up to layered rugs this season for instant feel-good vibes. 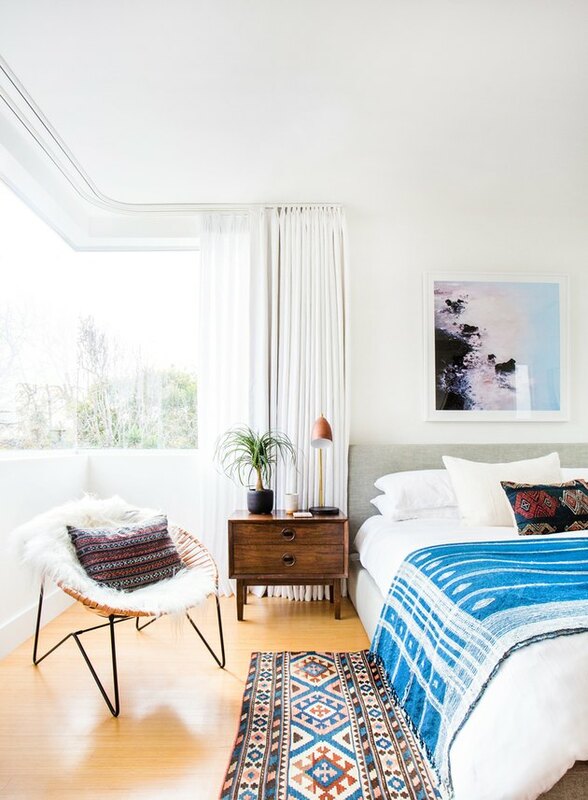 As you can see, boho-chic sensibilities and midcentury pieces are a match made in design heaven. One common design element of this style, is to incorporate multiple views to the outdoors encouraging healthy living. 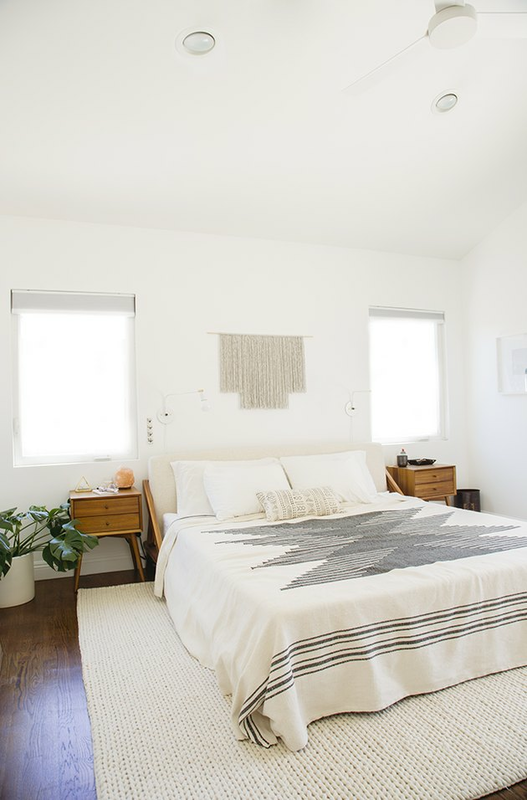 Utilize all of the natural light you can get. 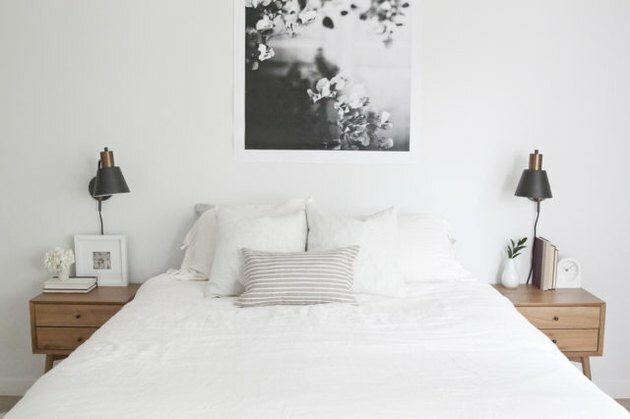 Create the illusion of more space by installing an inviting round mirror above the bed. Showcase your favorite vintage artwork or furniture piece with sophisticated subtlety using a pair of quiet wall sconces or a floor lamp. Don't be afraid to let pops of color bring more life to your midcentury design. One common thread in midcentury design is light, open space. 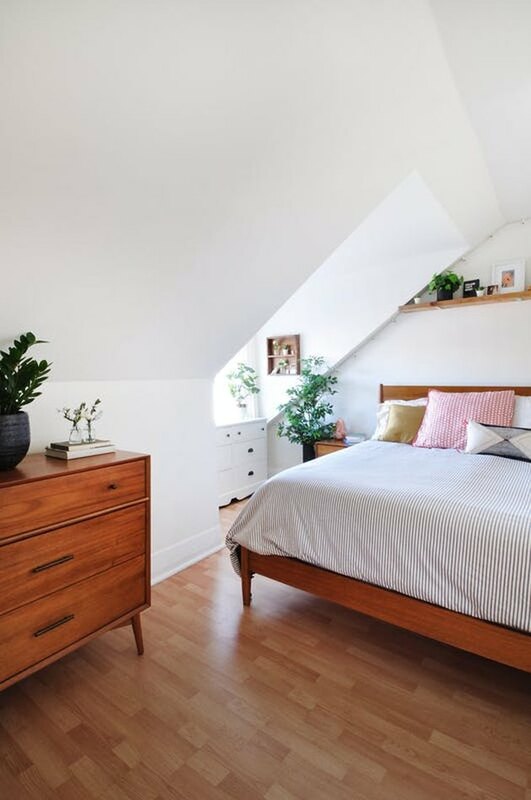 By maintaining open space beneath the furniture your bedroom will feel and look lighter and more open. 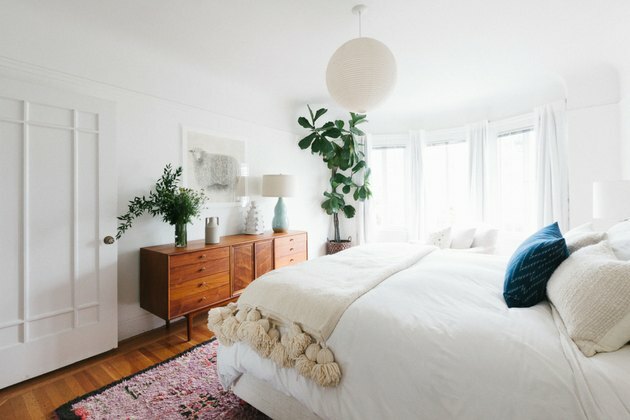 Not to mention, maintaining open space beneath the bed is a longstanding feng shui technique which is thought to improve your bedroom's energy flow. 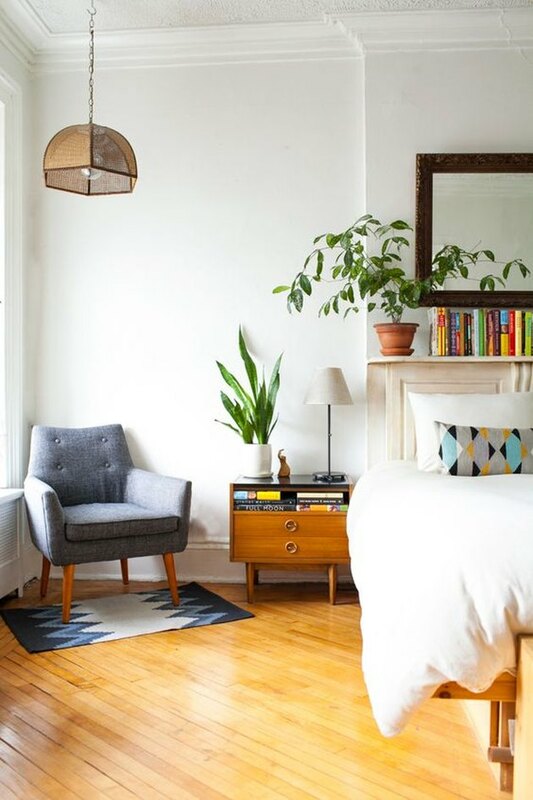 Turns out, a pair of midcentury side tables and matching lamps are all you need to make this style sing.